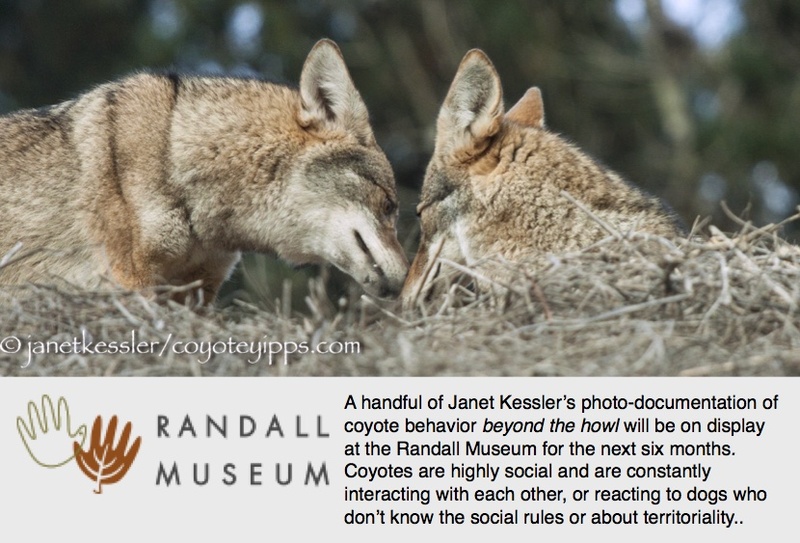 I saw the first intimations of coyote courting behavior at the end of November. It was between unattached coyotes. These two have always been happy to see each other, engaging in joyous playing and hunting together until now. But this time, when these two saw each other, they hesitated and incorporated some antagonistic displays towards each other — the female with a snarl, the male with his hackles up, stiff, erect and somewhat dominating. They approached each other and greeted each other as usual by touching their noses, but they did so hesitantly and warily. Then the female passed in front of the male and he sniffed her. She sat down to prevent further investigation. He then approached her from the back and attempted putting a paw on her back. He was testing her. She snarled and snapped at him with her hackles up, showing she would have nothing of it, that she was unavailable or unready for him, at least for now. They stayed like this for a moment, and then she finally reached up and gave him a friendly nip on the chin. Each then went in separate directions. From what I’ve seen before, the male will become much more solicitous and learn to approach her in the way she wants him to. I know that the female will bide her time in making any choices among her various solicitors. She wants control. It is the female, in the end, who makes a choice as to who will become her lifelong mate. The other trend I’m seeing right now is that females, for the most part, are staying much more apart and pretty distant from the males of their families. The males — bachelors — are hanging out together more than they did in the past, while the females spend a greater portion of their time alone and away from the fellas. Previous Not Happy About Being So Wet Next New Face On The Block!